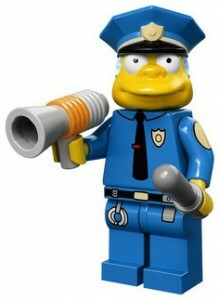 LEGO Simpsons minifigures. Let that sink in for a second. 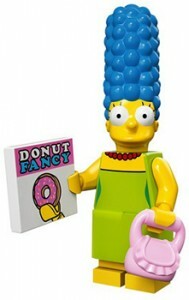 While there are a few that come with the pricey LEGO Simpsons House playset, the toy maker is going all in with a large line of blind bag minifigures that includes some of Springfield's most beloved residents. 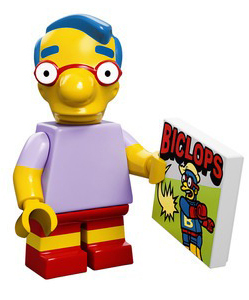 Each pack of comes with one minifig. The intention is that you're not supposed to know which figure you're getting. 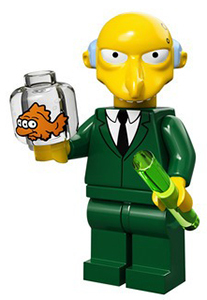 However, The Simpsons has some very distinct characters so many will like search for their favorite character by feeling the bag. This line of minifigs reaches far beyond what was included with the house. 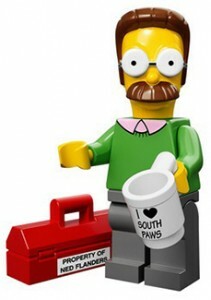 That playset had the Simpsons family and Ned Flanders. While they're all here as well, they are slightly different. 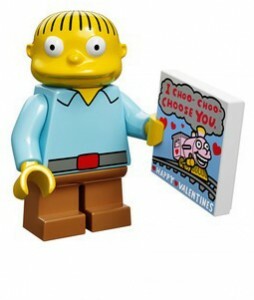 The expanded cast includes Ralph Wiggum (with an "I Choo-Choo-Choose You" valentine), Krusty, Itchy, Scratchy and Apu. 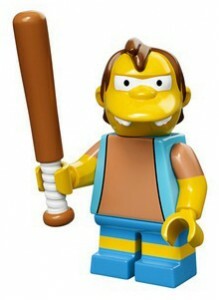 Each of the minifigures comes with at least one small accessory connected to the character. 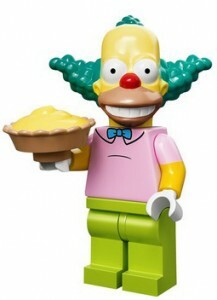 The release of the Simpsons minifigs coincides with a LEGO-themed episode that airs in May, 2014. 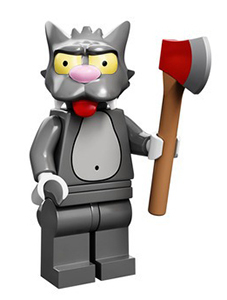 LEGO has been releasing blind bag minifig lines for a while now, but this is the first based on a licensed property. 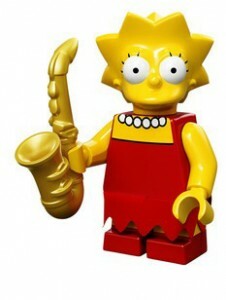 LEGO The Simpsons. 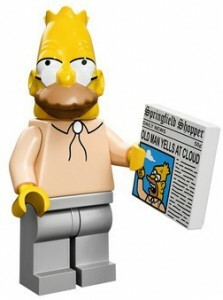 Series 1 Minifigure." Maggie & teddy bear " New Condition!. 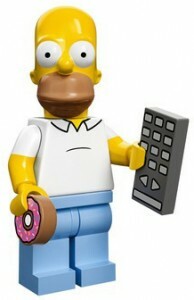 LEGO The Simpsons. 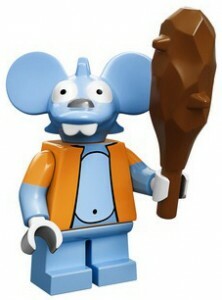 Series 1 Minifigure." 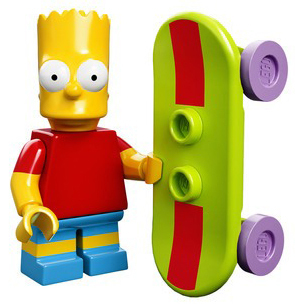 BART SIMPSON " New Condition!. 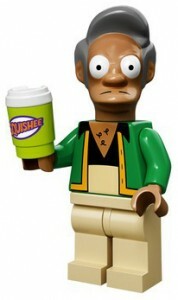 LEGO Series 1 Simpsons Minifig APU.